Losing things is such a common, frustating, and time-consuming problem. In fact, we're collectively so disorganized that we waste millions of hours every. single. day. looking for lost items. 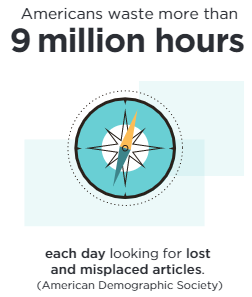 At work alone, we spend about 9 million hours looking for lost and misplaced articles. That's a lot of lost productivity. Check out our infographic on tips for saving time & effort when searching for electronic documents. Does that mean humans are naturally disorganized? No; in fact, we crave neatness and organization. Think about your kitchen. You have a very particular way of organizing everything. Plates and bowls in one cabinet, glasses in another, and silverware in a drawer. However, your neighbor's house, while having the same kitchen layout, may have organized things very differently. Why do we lose things? What it comes down to is a lack of organizational systems and retrieval tools. In the office, this is especially difficult because one person may have the perfect filing system for themselves, but it doesn't make sense to anyone else. Or, perhaps someone forgot to save a file onto the shared drive, or the summer intern didn't understand the purpose of the document and put it in an entirely different folder. 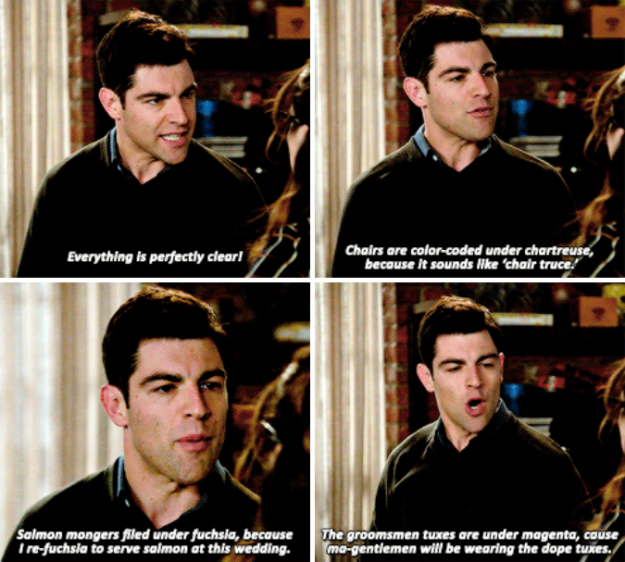 If every item isn't stored exactly right, you simply won't be able to find it without looking. While there isn't widely available technology solutions to help you keep track of your keys, there are options for keeping track of your files and documents. Practice management software, such as case management software, document assembly, and document management, all help create consistency in filing and storing. Take document management (DMS), for example. By managing your documents in a DMS rather than clunky Windows folder tree, you can instantly search for a file by its name, description, date created, date modified, file creator, and so much more. You never have to open folder after folder to get to your file. These types of software allow you to work in real time because you can retrieve any file within a couple clicks, rather than having to stop your current thought process to go dig for it like a keyboard archaeologist. 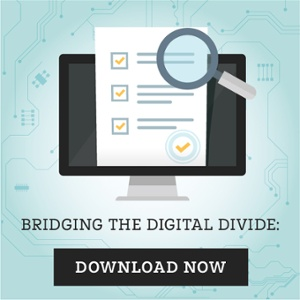 Unfortunately, software like document management isn't without its limitations. If you work with a lot of .pdfs, you're still fairly limited to how you search. For example, if you wanted to find a .pdf related to a case from three years ago, you can search by the time frame or by the case name, but what if it was erroneously filed without the case name? Good luck finding that file. However, if you were able to search for keywords within the .pdf, your search time could be dramatically decreased. That's exactly what OCR software does. It turns your non-text-searchable files into text-searchable files so you can search for words within the document, not just about the document. 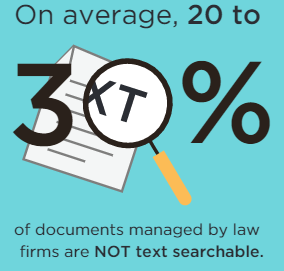 For the average law firm, 20-30% of their files are not text-searchable. Consider how many files your firm has. Thirty percent is a lot of files that you likely have a hard time time finding. 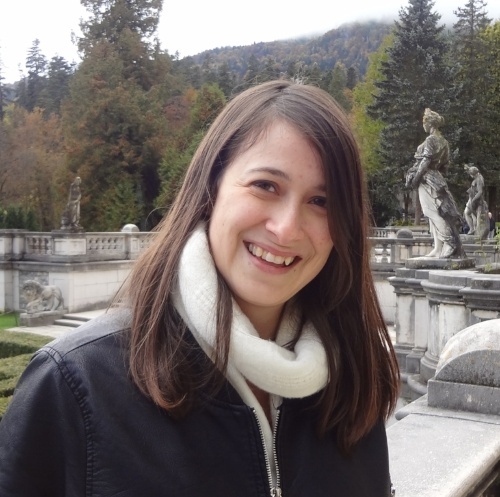 The best part is, once you install OCR software, it will find all of your currently files that are not text-searchable, 'OCR' them, and then continue to check and convert any new files that enter the system, automatically. Paring OCR software with your document management system will save your employees hundreds or thousands of hours searching for files, as well as allow them to work in real time. It can cut down on client meeting preparation, asking other employees to help find documents, and simply decrease the number of clicks you need to make to retrieve the right document the first time, in seconds. 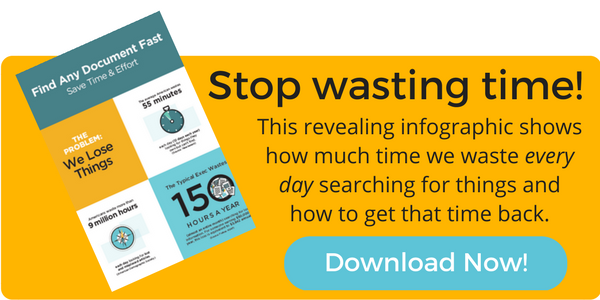 To learn more about the epidemic of losing things and how the right software and technology can help, download our infographic on wasting time and the power of OCR by clicking below. [Whitepaper] Hidden Documents. Hidden Risks.